Phyoe Phyoe Aung, a student activist from Myanmar jailed for helping to organise a student protest, has been released. Her freedom is a huge victory for human rights and human rights defenders. Phyoe Phyoe Aung is a young activist and Secretary General of one of Myanmar’s largest student unions. On 10 March 2015, she and 50 other students were arrested by police for their peaceful demonstrations against an education law they believe limits freedom of education. Phyoe Phyoe Aung was charged with a range of offences including taking part in an unlawful assembly and inciting the public to commit offences against the State. She faced up to nine years’ imprisonment. After eight months in hiding, her husband Lin Htet Naing was also arrested in November, 2015. Finally, the demand for their freedom has been heard and, alongside many others, Phyoe Phyoe Aung and her husband now walk free. “Today’s release of most of the student protesters is a huge step forward for human rights in Myanmar, and we are delighted that these men and women will walk free. It sends a strong message about the new government’s intention to end the cycle of political arrest and detention in Myanmar,” said Laura Haigh, Amnesty International’s Myanmar Researcher. Since the start of 2014, authorities have increasingly stifled peaceful activism and countless journalists, human rights defenders, students, and labour and land activists have been threatened, harassed and jailed for nothing but peacefully speaking their minds. Authorities have been using the law to bring charges against groups of people participating in a protest. They have also used politically-motivated detention and imprisonment to weaken dissident movements. Myanmar’s new government will take office with a historic opportunity to change its course on human rights and break away from its use of deeply repressive laws. Amnesty International has campaigned heavily for Phyoe Phyoe Aung’s release since her arrest. As well as being the subject of an Urgent Action which was sent out globally, Phyoe Phyoe Aung also featured as one of our 2015 Write for Rights cases. In Australia, almost 30,000 people signed our online petitions calling in Myanmar’s then-President Thein Sein to release Phyoe Phyoe Aung. Countless more took action offline. We would like to thank everyone who took action on behalf of Phyoe Phyoe Aung – your efforts are greatly appreciated. 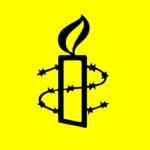 While this is a step in the right direction, the government of Myanmar must release all remaining prisoners of conscience and ensure wholesale reform so that the country can end the cycle of discrimination, politically-motivated arrests and imprisonment, and other human rights abuses once and for all. Phyoe Phyoe Aung and other human rights defenders are vital to shaping the country’s future – it’s crucial that the government works to create space in civil society for them to operate freely. With the world’s attention on Myanmar, we will celebrate the release of the protesters but continue to challenge the Myanmar government to break away from the deeply repressive policies that for years have fueled arbitrary arrests and repression.